What is a Grandma Pizza? The Grandma Pizza gets no respect. This pizza style has been given a small footnote in the history of pizza. There are several noted pizza experts who are now trying to give the Grandma the honor this pizza style deserves. We know there are many regional styles of pizza. Pizza friend Adam Kuban in a classic article about regional styles of pizza lists no fewer than 30 types of pizza. 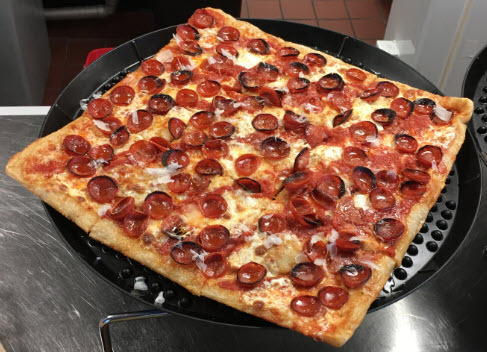 For example, you may be familiar with New York, New Haven, and Detroit which are known types of pizza. One of the types Adam discusses is the Grandma Pizza. Where did the Grandma Pizza come from? How was it developed? 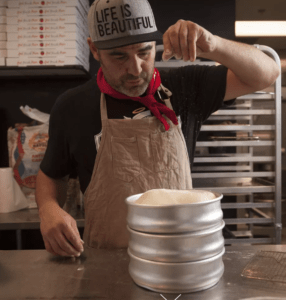 I wanted to know more about this great pizza, so I interviewed Vicent Rotolo of Good Pie in Las Vegas. A Grandma Pie can be square or round cooked in a pan. It is thin and crispy. Not as thick as a Sicilian. The pizza was created by grandmothers in Italian-American neighborhoods in Brooklyn, Queens, Long Island and New Jersey. Making this comfort food was a way for the grandmothers to nurture and take care of their families. The pizza itself was born out a way for grandmothers to make pizza at home. They would usually use the ingredients they had on hand. Vincent started as a home cook and chef. 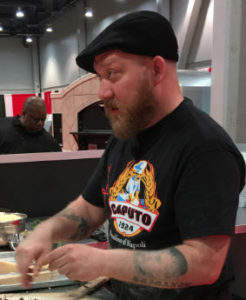 Most importantly, he learned his craft and is now a professional pizzaiolo. There is a parallel between his own pizza path and the Grandma Pizza. The original Grandma pizzas were created at home and now it is a recognized pizza style. Vincent gives a nod to Tony Gemignani who has pushed the envelope in bringing many different styles of pizza to the world. Tony has done this through his pizzeria Pizza Rock. 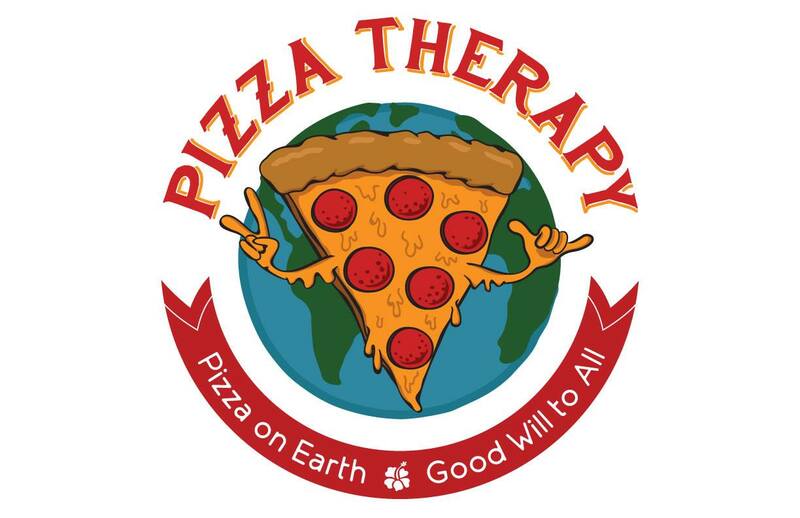 What Tony has done there has actually inspired the whole pizza industry. The interesting this for him is that the neighborhoods revolved around the Grandma Pizza. He now lives in his own neighborhood in Las Vegas and he wants to spread the same feel. The best way to honor these traditions was with a Grandma Pizza.